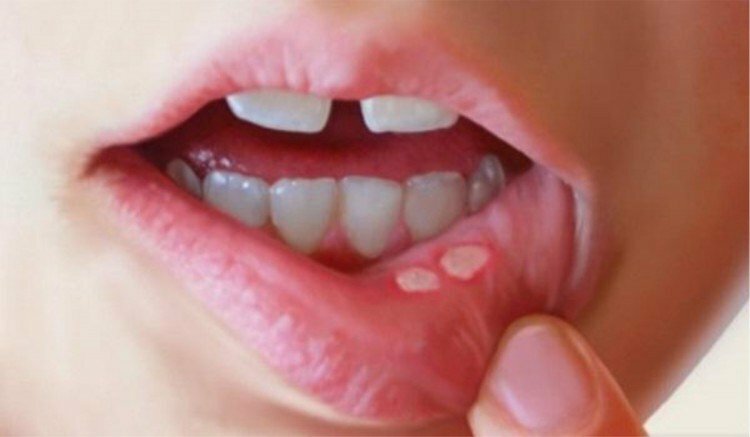 In this article of homeo expert, we shall discuss the best homeopathic treatment for mouth ulcers or homeopathic medicine for mouth ulcers. We can also refer them as aphthous ulcers, aphthous stomatitis or canker sores. Everone suffers from mouth ulcers or oral ulcers in their lives one time or more than one time. There are a number of people who will agree with the fact that they are a cause of major discomfort. Some individuals are feeling irritation and pain at such level that they can interrupt their daily lives. At times, the pain can be so severe that the person who suffers from mouth ulcers can hardly speak or eat. Apart from pain, there is an additional feature which is a difficult one that is, ‘frequent recurrence’. Mouth ulcers occur very frequently in some people. There are several people who complain that their first ulcers have not healed yet and a new set of ulcers are on their way. Homeopathic treatment for mouth ulcers is the best choice to stop their recurrence. Homeopathy will also reduce the pain and shorten the duration of canker sores. Therefore, we can say that homeopathy has the best homeopathic treatment for mouth ulcers. Mouth ulcers are painful sores inside your mouth. They can occur in different locations including inside of lips, inside of cheeks. In addition, they can also occur on the base of the gums or under the tongue. They appear as a painful yellow or white ulcer which is surrounded by a bright red area. Mouth ulcers start with a burning sensation and followed by a red spot that progresses into an ulcer. The pain of the ulcer becomes less intense within a week and the complete healing takes place within 2-3 days. There is a chance that mild to moderate fever may accompany them. They are different from the fever blisters because they occur on the corners of the mouth or on the lips. Additionally, ulcers in the mouth consist of different types including cold sores etc. Aphthous ulcers are benign and do not pose any danger as well. They are also not contagious in nature. They are more often occur in women than men and common between the ages of 10 and 40. If your ulcer persists for more than 2 weeks, you need to consult your physician immediately. All the symptoms can be treated by using homeopathic medicines for mouth ulcers. Minor Ulcers: The diameter of these ulcers are from 2-8mm and they usually clear from 10 days to 2 weeks. Major Ulcers: They are bigger and deeper in size. They have an irregular border and they can take several weeks to heal and may leave a scar in the mouth. Herpetiform Ulcers: It consists of a cluster of dozens of smaller sores and occurs in the size of pinheads. If you will find a suitable homeopathic treatment for mouth ulcers, you will get rid of them. We can identify several factors that give rise to these aphthous or oral ulcers. It includes emotional stress, deficiencies in diet like (iron, vitamin B-12 and folic acids), menstrual periods, allergy to food and oral hygiene. Additionally, there is a chance of trauma that can lead to ulcer where the tongue or cheek has got bitten by teeth. They can also occur without any cause. We have gone through different cases in which it has been running in the families. There is a research that some people can get mouth ulcers because of the usage of products containing SLS (sodium lauryl sulfate). This chemical is available in different kinds of toothpaste and mouthwashes. If you want to treat your mouth ulcers by using homeopathic treatment for mouth ulcers. You have to go through homeopathic medicines for mouth ulcers. Homeopathic medicines include Merc Sol, Borax, Acid Nitric etc. If your mouth ulcers are sensitive and hot, borax is one of the best homeopathic remedies for it. Additionally, you may experience the sores which are breaking out in the inner area of your cheeks. It can also affect your tongue and your gums. Among all medicines, you need to pay important attention to Merc Sol. It will reduce the pain as well as it will heal the ulcers as soon as possible. It will also put an end to the tendency of frequent recurrence of mouth ulcers. There are certain foods which can irritate your mouth. Therefore, you need to avoid those foods including acidic foods and spicy food. Do not talk while eating because it can lead to the trauma to your inner side of the mouth. Additionally, adopt the habit of regular brushing of teeth after a meal. It will give you good oral hygiene and will save you from mouth ulcers.